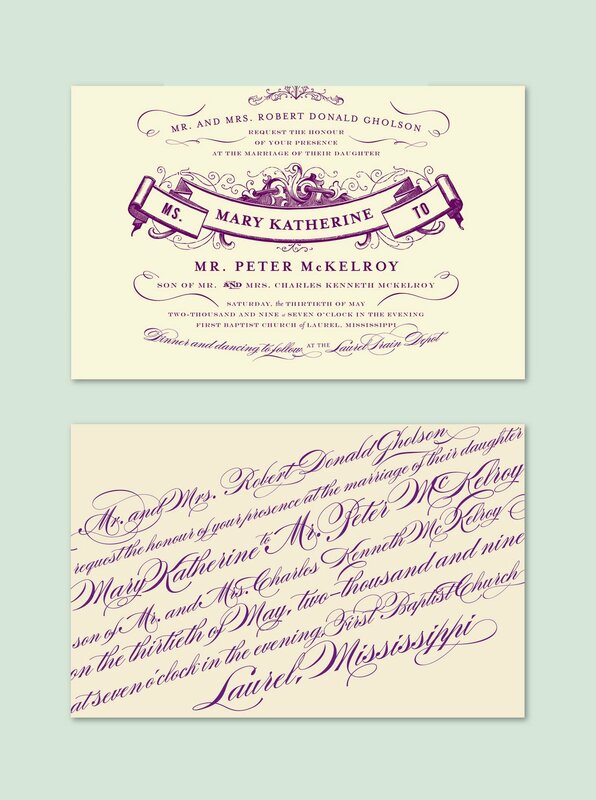 I’m excited about the possibilities for type for this letterpress suite. 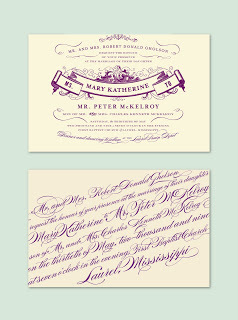 The bride is looking for something formal and eccentric. 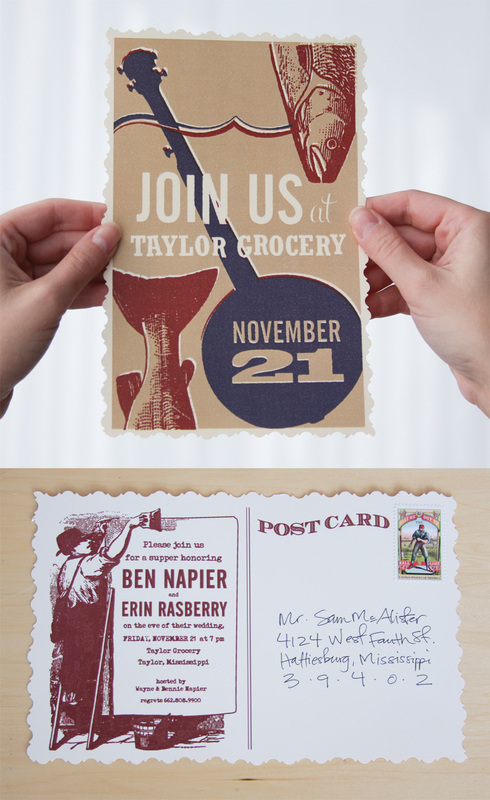 The invitation to our ultra-casual rehearsal dinner at Taylor Grocery. I used a fantastic new filter from Mr. Retro to give them a hand-printed look.